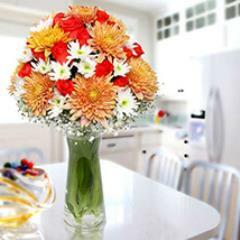 Daisies Make Special Surprise for Dear Ones!! 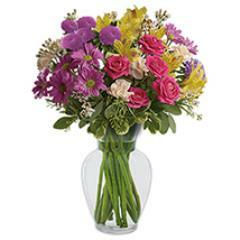 Are you looking for flowers that radiate cheerfulness & happiness? Daises make the right floral choice. 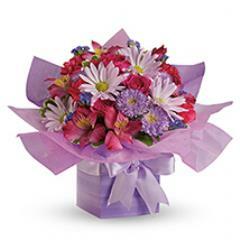 Explore large collection of Daisies at Flowerdeliveryuae.ae. 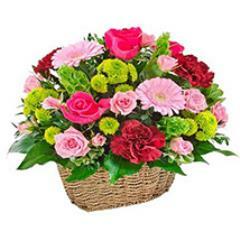 This website offers online delivery of fresh Daisies at various places of UAE. 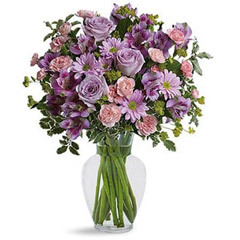 Get online delivery of colourful daisies in stunning bouquets & glass vase arrangements. 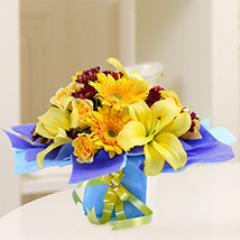 Daisy blossoms are a sweet way to say thanks, wishing good luck and a cheerful day. Daisies represent childhood innocence, simplicity and joy. 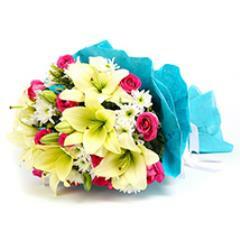 Daises can be given for birthday, anniversary, wedding ceremony, saying sorry, New Year greetings and so on. 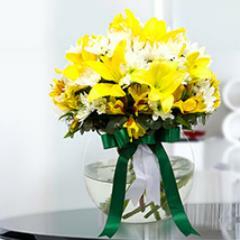 They make a beautiful gift for all festive occasions. 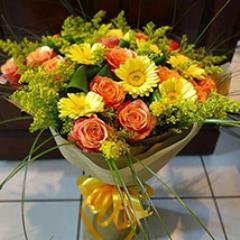 Create a wow moment for your dear one when they would receive Daisies online from Flowerdeliveryuae.ae. Daisies are closely related to sunflowers and found in bright colours. They come in neon pink, sunny yellow, snowy white, precious peach, luscious lavender and ravishing red. You can also get a single flower will petals of different colours. 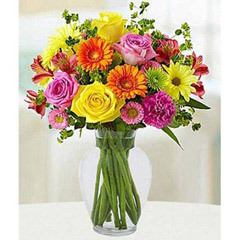 This adds up more colours and vividness to any flirty bouquet of Daisies.